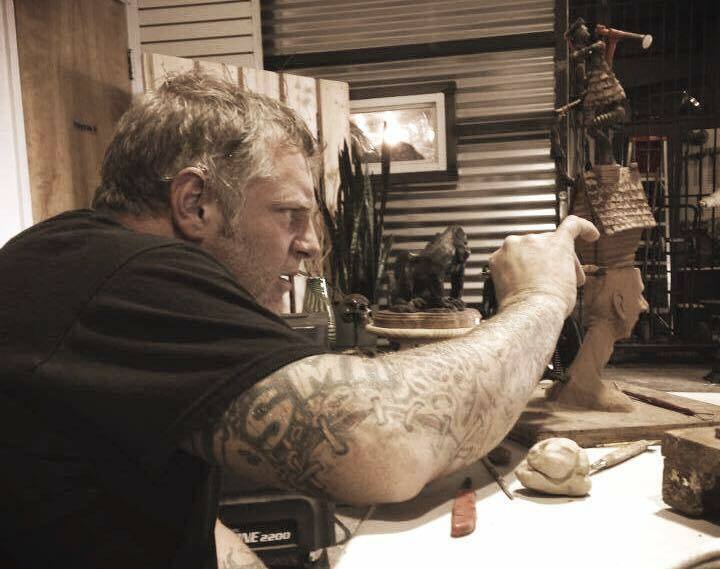 If you are interested in any of Jimmy Hill's work, or would like to commission him for a special project fill out our contact form! Limited edition bronze sculpture on wood base. 11 X 10.5 X 15"
6 X 6 X 19"
4.5 X 4.5 X 5"
2 X 3 X 2.5"
An untiled limited edition bronze sculpture. 10.5 X 7.5 X 20.5"
9 X 6 X 16.5"
Limited edition nickel plated bronze sculpture. 4 X 3 X 1.25"
21 X 9 X 5"